A SUNSHINE Coast motorist has become one of the state's worst Christmas drink-drivers after recording a 0.224 blood alcohol level at an Alexandra Headland RBT stop on Saturday night. The woman's recording - four-and-a-half times the legal limit - has shocked police. The 29-year-old had the highest reading of 59 drivers across the state who blew over the limit on Saturday - day eight of the Queensland Police Festive Break Christmas road safety campaign which ends on January 3. Sunshine Coast Police Superintendent Darryl Johnson said there was no time to take a chance behind the wheel. "Taking the chance that you may cause an accident, taking the chance you may cause yourself an injury or death or taking the chance you cause injury or death to another - there is no time to drive when you are over the limit," Supt Johnson said. "All we ask is that if driving, be responsible and look after yourself and others. "We have seen fatalities right across the country caused by people driving who are effected by alcohol and drugs - please do not take the chance, you owe it to yourself." The Festive Break campaign, which started on December 23, has seen 431 drivers booked for being over the 0.05% blood alcohol limit. A further 189 have been booked for drug driving, 17,392 detected by speed cameras, 191 caught not wearing seatbelts and 213 for mobile phone offences. The police safety campaign has targetted the state's Fatal Five - speed, drink and drug driving, distracted driving, fatigue and failure to wear a seatbelt. Meanwhile a man caught during a traffic operation near the Noosa ferry at around 4pm Saturday will face court on charges of resisting arrest and obstructing police. A senior constable was injured while chasing the man after police intercepted the vehicle in which he was travelling. The 20-year-old was found to be wanted on a return to prison warrant for breaching parole conditions and will now serve the remainder of that sentence. 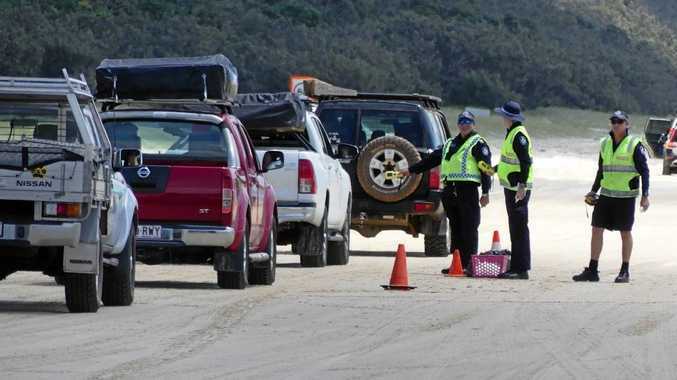 Police have established a large presence on the Noosa North Shore, monitoring an estimated 2000 daytrippers pouring onto Teewah Beach daily in their four-wheel-drives and another 2000 who are camped along the beach for the holiday break. They were calling for drivers to show patience, with a string of two-metre plus high tides from December 31 set to restrict access for morning traffic. 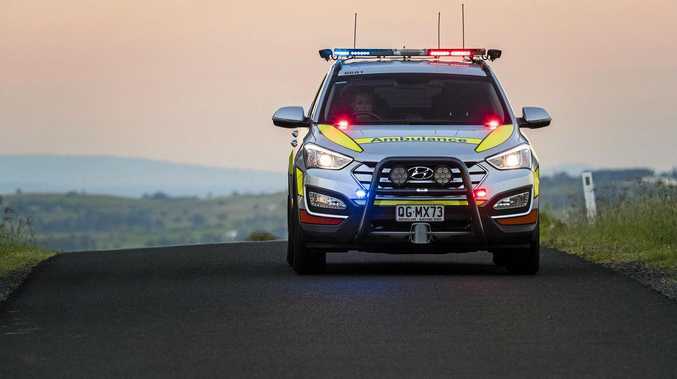 Senior Sergeant Shane Panoho of the Nambour Road Traffic Policing Unit said 12 police from the Sunshine Coast, Gympie and Maryborough were conducting patrols, roadside drug and alcohol testing and speed checks to encourage people to do the right thing. He was pleased that despite conducting hundreds of RBT tests there had only been a few drivers with minor readings and a couple of drug driving offences. But Sen Sgt Panoho said police had been disappointed at having to issue at least 12 tickets for not wearing seat belts and speeding. "All road rules apply," he said. Police will remain on the beach throughout the holiday period although camping and day trip numbers are expect to begin to fall away after the New Year weekend break.